KTR Promotions in Venice Beach & Los Angeles California: Weekend Update! Pick of the Week is this Saturday, The Robert Berman Gallery's latest Pacific Standard Time Contribution, Transformation! Weekend Update! Pick of the Week is this Saturday, The Robert Berman Gallery's latest Pacific Standard Time Contribution, Transformation! 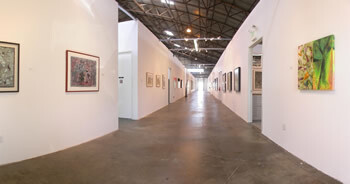 The Robert Berman Gallery presents Transformation, its 2nd exhibition participating in Pacific Standard Time. The opening reception runs from 5:00 pm till 7:00 pm. 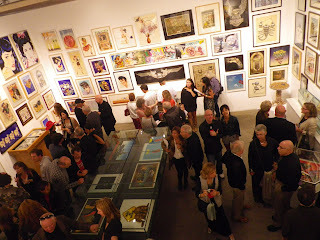 See today's (Friday) Santa Monica Daily Press, for my latest article about this show. Also, the Santa Monica Mirror will feature an article about Paid to Play, another Robert Berman Gallery exhibition which just opened last month. Oooh...Mama's been busy! Transformation features conceptual photography from Robert Heinecken (right image) and Victor Landweber (left image) and is the companion show to Paid to Play. This exhibit focuses on art that was created from untraditional sources. Commercial art, which was altered, hence transformed into thought-provoking visuals. 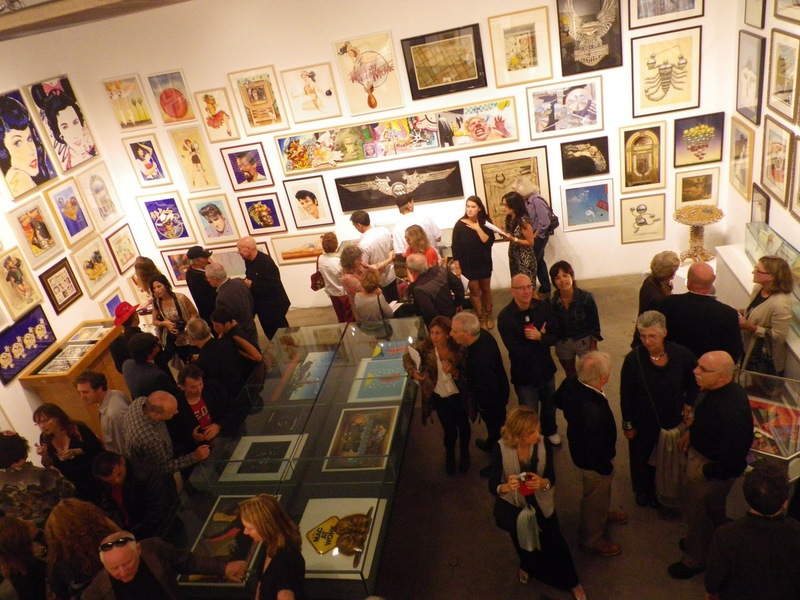 The Robert Berman Gallery always has fun openings. Paid to Play will also be open, so pop into both exhibitions. See photo of that opening....it is a spectacular show. See more info below. 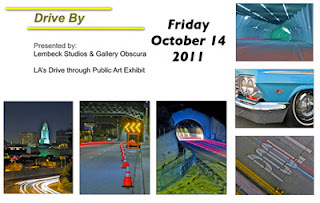 Ok this one sounds way cool….it’s a drive by art opening. Stay in your car and enjoy the art while you drive. But wait does that mean there’s no wine??? Another event located downtown tonight happens at SCI-Arc Exhibitions aka Southern California Institute of Architecture. SCI-Arc features Anisotropy Anisotropie by Paris-based architecture firm Odile Decq Benoît Cornette. 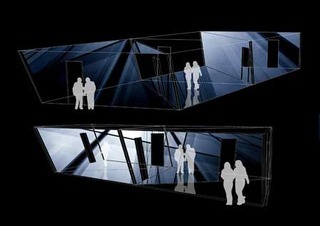 Enjoy a discussion at 7:00 pm with SCI-Arc Director Eric Owen Moss and Odile Decq who will discuss the installation. Reception to follow till 9:00 pm. 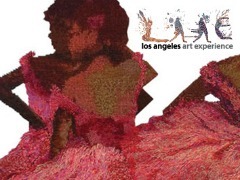 Also, tonight in Downtown L.A., if you’ve got the cash and want to support a good cause, stop by Bank of America Building, for The L.A. Art Experience. This event features works from 75 contemporary artists, enjoy an ice bar (don't ask me what that means) and meet some of the stars from "So You Think You Can Dance." 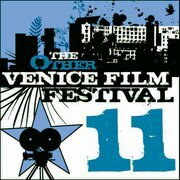 Though the Other Venice Film Festival kicked off last night, tonight is also a big night, which starts at 5:00 pm. It's $30.00 at the door. There will be live music and more....but if you just want to go to the screenings....it's $10.00 in advance and $15.00 at the door. Be sure to check the website for more details. 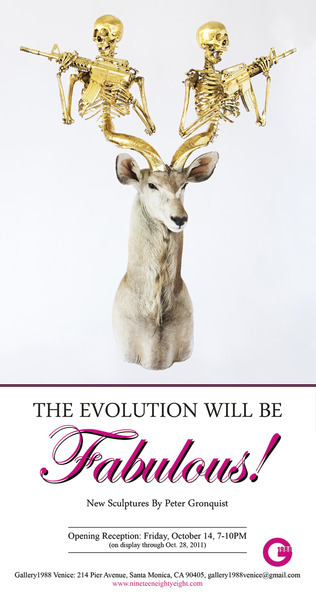 From 7:00 pm till 10:00 pm, Gallery 1988 Venice has an opening for "The Evolution Will Be Fabulous," a new solo exhibition created by John Gronquist. 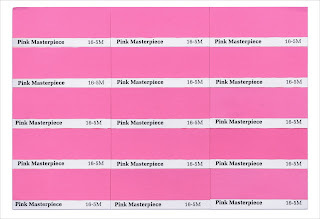 It will feature the sculptor's controversial artwork, which is an extension of his 2008 show, "The Revolution Will Be Fabulous." 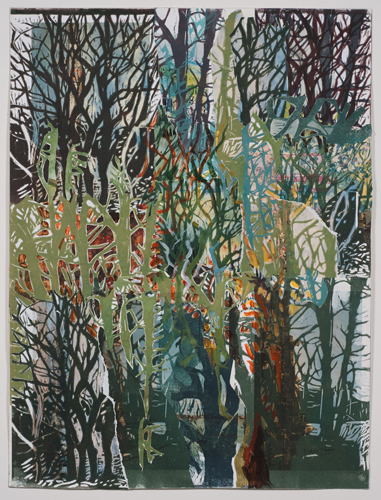 Now for the Pick of the Week is Transformation, the Robert Berman Gallery’s latest exhibition at Bergamot Station 2525 Michigan Ave., in Santa Monica. Transformation features conceptual photography from Robert Heinecken (1st two images) and Victor Landweber and is the companion show to Paid to Play. Transformation focuses on art that was created from untraditional sources. 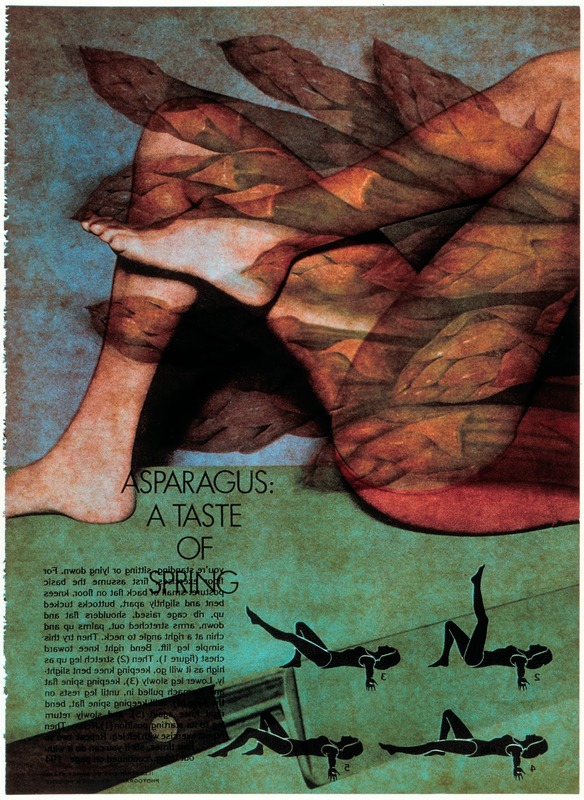 Commercial art, which was altered, hence transformed into thought-provoking visuals. Robert Heinecken was one of the few early photographers to practice, Post-Modernist: appropriation, a commonly used art technique in today’s art scene. This provocative photographer was ahead of his time. 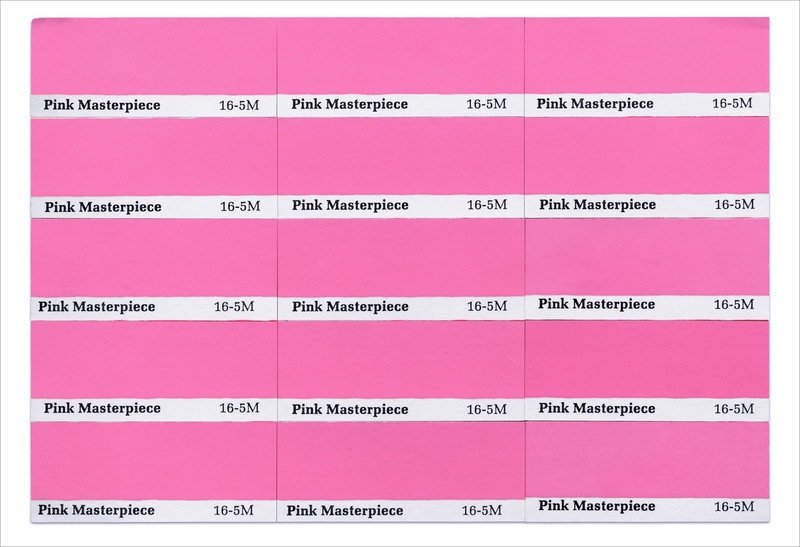 Heinecken revolutionized the art world, creating unusual techniques that were once scoffed at, and now acknowledged and widely used as a proven art practice. Victor Landweber (below 2 images) has also been an influential figure in the art world. 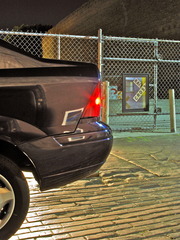 Landweber is known for taking the ordinary, then placing it in the context of an unusual realm. He plays with a subtle touch of sexuality that is masked behind a blatant ambiguity. Landweber’s photographs capture what the viewer cannot see, forcing them to question what they are looking at and why. Both of these men have used unconventional methods and transformed commercialism into art. They combined imagery and photography in a way that transformed the and had quite an impact on the world of art. The opening reception, (D-5) runs from 5:00 pm till 7:00 pm. Paid to Play (at C-2) will also be open, so pop into both exhibitions. Paid to Play is a wonderful exhibition which features artists who earned their living as illustrators. 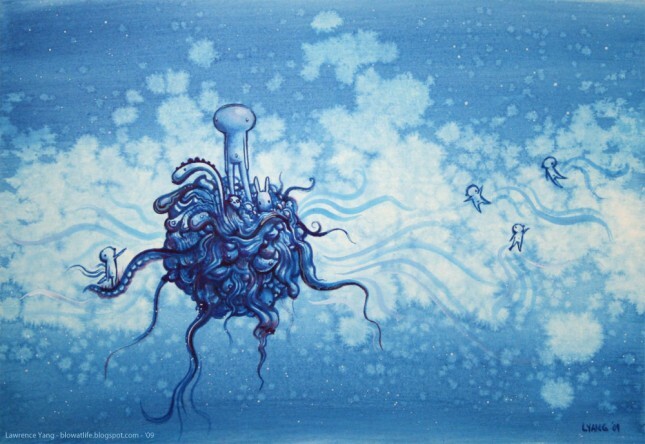 This was a genre looked down upon by many in the art field. Artists who were involved in such commercialism were considered to be “selling out” by many in the fine art world. Paid to Play was the first of several exhibitions to appear at The Robert Berman Gallery as part of Pacific Standard Time. See image of the famous Millard Sheets mural (26th and Wilshire) which is part of the Paid to Play exhibition. Yes most of them end early at 7:00 pm, but the Robert Berman Gallery will usually go on a bit longer. Then stop by Copro Gallery (T-5) which always runs a bit later.Tonight’s opening features a group exhibition, featuring artists Mark Garro, Dan Quintana and Chet Zar. 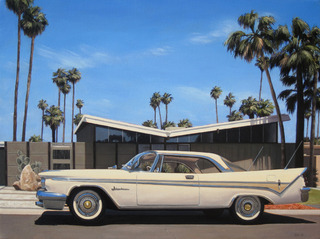 Santa Monica Art Studios kicks off their 7th Annual Open House starting tonight from 6:00 pm till 9:00 pm. More than 35 painters, printmakers, photographers, sculptors and mixed media artists will open their studios for the event. 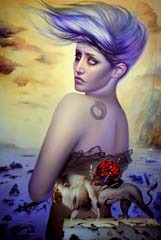 Be sure to stop in ARENA 1 Gallery, as well which features the exhibit Unruly, curated by Lisa Little and Emily White. Or in Venice there’s a closing reception for Shipping & Receiving: Photographs and Letters between Venice, CA and Dupree, SD at Venice Arts from 5:00 pm-8:00 pm. 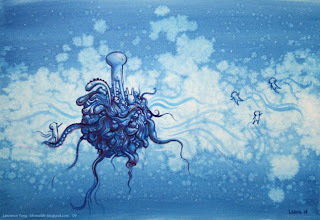 In West LA Giant Robot 2 presents Martin Hsu, Lawrence Yang: Undercurrents Art Show from 6:30 pm - 10:00 pm. If you would prefer to stay in Culver City, there are several happenings. 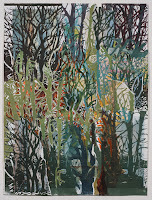 The George Billis Gallery will be having an opening reception Alex Blas, Matt Condron and Danny Heller (see image). 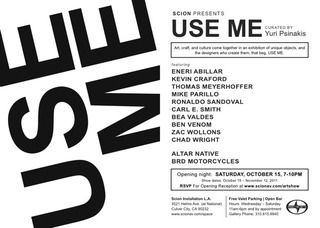 And at Scion the exhibition USE ME features designers Altar Native, Bea Valdes, Carl E Smith, Chad Wright, Eneri Abillar, Kevin Craford and more. Topanga Canyon is a lovely place to spend a Sunday. 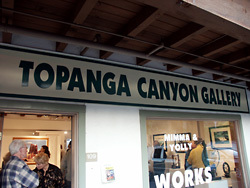 Enjoy an opening reception at Topanga Canyon Gallery for artists Kate Browning & Rebecca Catterall from 2:00 pm - 5:00 pm. Also in Santa Monica Flying Saucers Cafe is turning 2 years old!!! Join Ryan and co. for a huge birthday BBQ, prepared by master chef Patrick Henderson. $10 a plate, all you can eat. Texas style!! Chef Patrick is going to grill like only a Texan can. You will not leave hungry, guaranteed. Live music too. It starts at 2:00 pm Flying Saucers Cafe is located at 306 Pico Blvd., Santa Monica, 90405. Be well...have a great weekend! And stop into Dannys this Wed, Oct 19th for some live blues with Geoffrey J and myself, Kathy Leonardo.